You may have faced a lot of situations where you might have to lose some of your really important data and work in your computer. Ever imagined how difficult and frustrating it is to rebuild and recreate everything all over again. We often say and hear that backing up your data can really protect it. But how to backup all your data effectively without facing any hurdles? The Answer to this question is “AOMEI Data Backuper”. 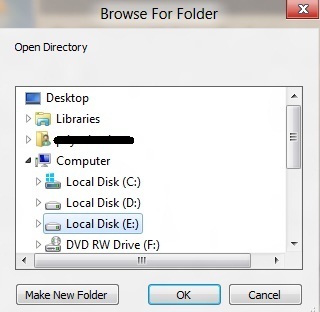 Encryption, compression, bootable rescue media etc. Ensuring the protection of your data could not be easier. 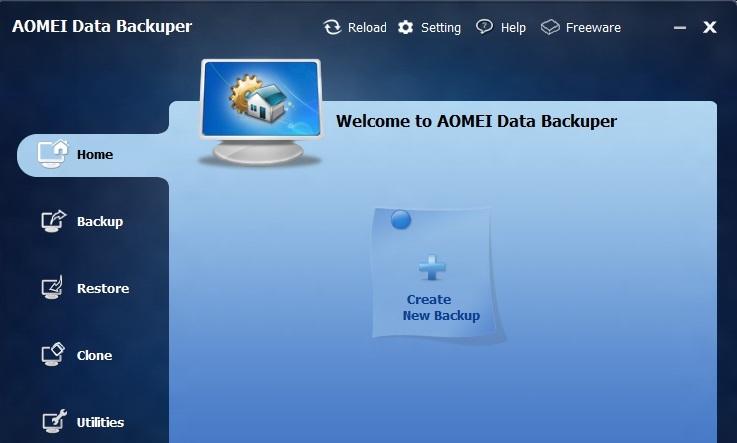 AOMEI Data Backuper lets you back up everything with just one click without hampering your system course. You can back up hard disk drives and additional storage devices with it. 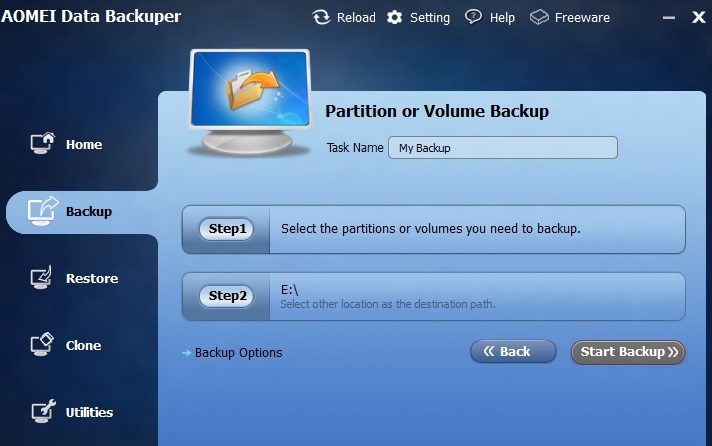 For backing up a particular volume, it is simply a great tool. It lets you back up multiple volumes to an image file. It performs fast system recovery and reliable partition recovery. You don’t require an image file to copy one hard drive to another. You can also replicate a dynamic volume with it. 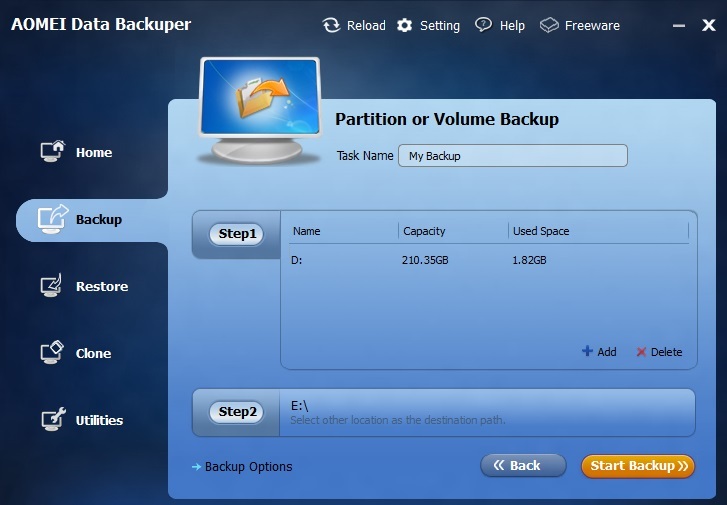 And with the added benefits of encryption, compression, comment and splitting backup etc., it gives an impression of all in one data backup tool. 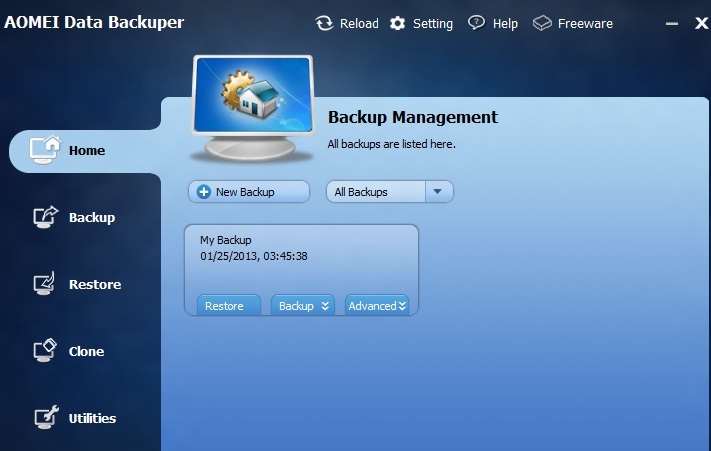 Create New Backup: Click on the option “Create New Backup” and a screen will pop up showing three types of backups that you may want to create. 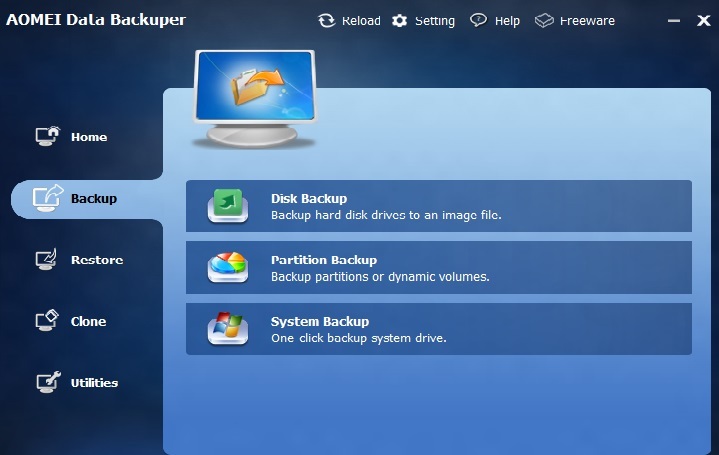 Three types of backups namely, Disk backup, partition backup, system backup are available and you have to select the type of backup that you want to create. 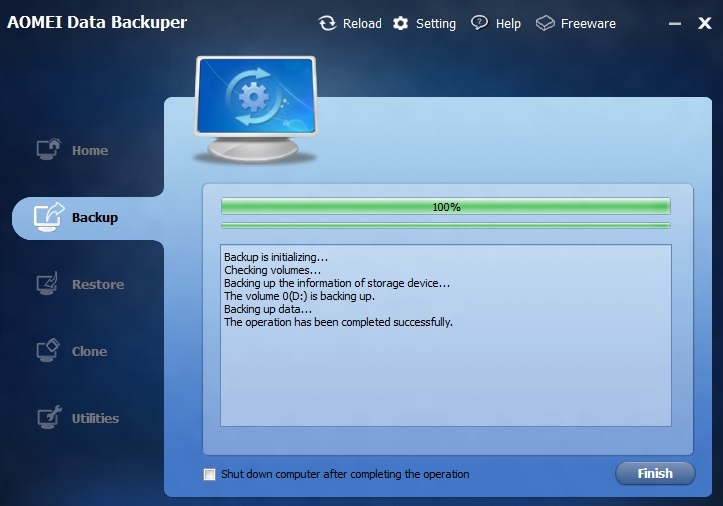 Completion of backup: The backup process will go on to complete for a few minutes and at the time of completion, it shows 100% status, which means that the backup has been done successfully. Click on “Finish” to complete the process. 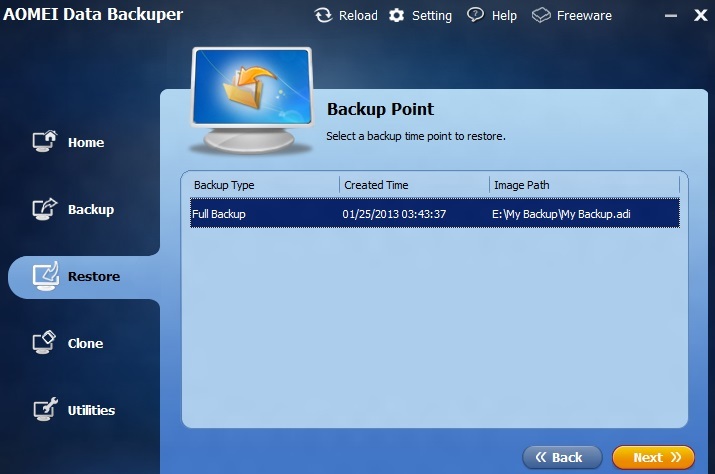 After you finish the backup, you will be shown the status of your backup regarding its date and timings. 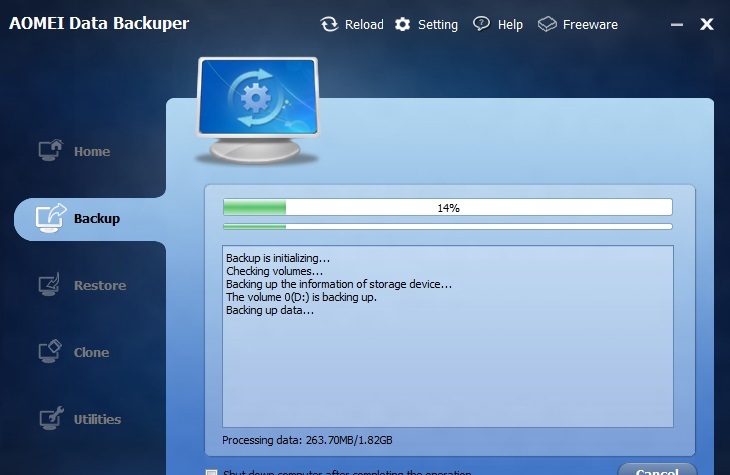 There are also options of restoring and other advanced options for your backup. 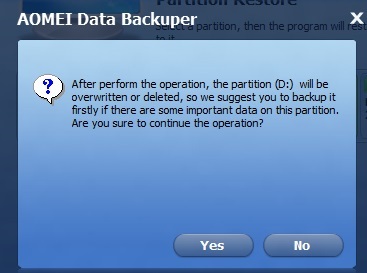 If you press “yes”, then the partition you chose will be deleted or overwritten, so you may also backup that partition before. Likewise, there are features too which you can use and see. Please notice that everything has been explained in a simple manner and lucid way, but still if problem arises anywhere, then you may ask and it’ll be taken care of right away.